What we love: Lucy Kirk’s ceramic and illustrated art has a wonderfully playful, disarming quality. We’re particularly fond of her new line of t-shirts, sweatshirts, and prints. 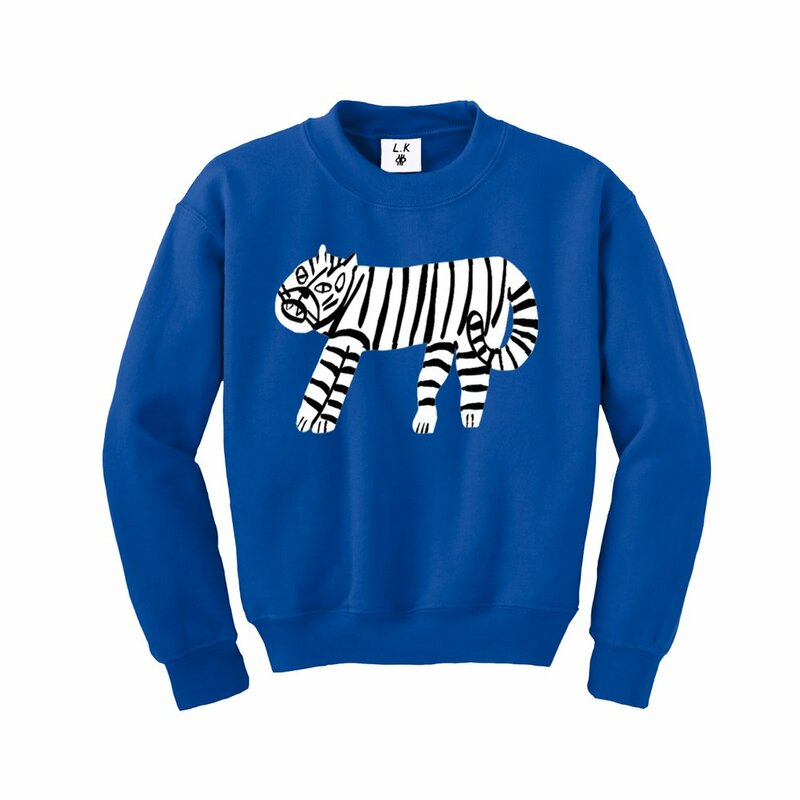 Perfect for kids and grownups looking to sport a ferocious big cat but also chill and snuggle. 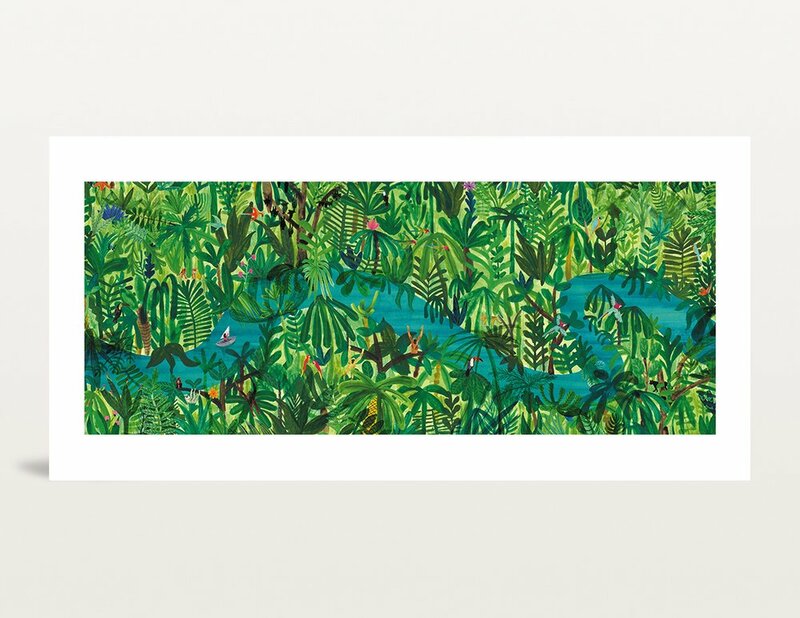 What we love: Marc Martin is an illustrator, artist, and book maker based in Melbourne, Australia. His illustrations have been commisioned by prestigious clients from around the world, filled the pages of his own books, and formed the basis of awesome products in his shop. What we love: Hailing from Rotterdam in The Netherlands, Foekje Fleur creates colorful and playful products designed to address serious issues. 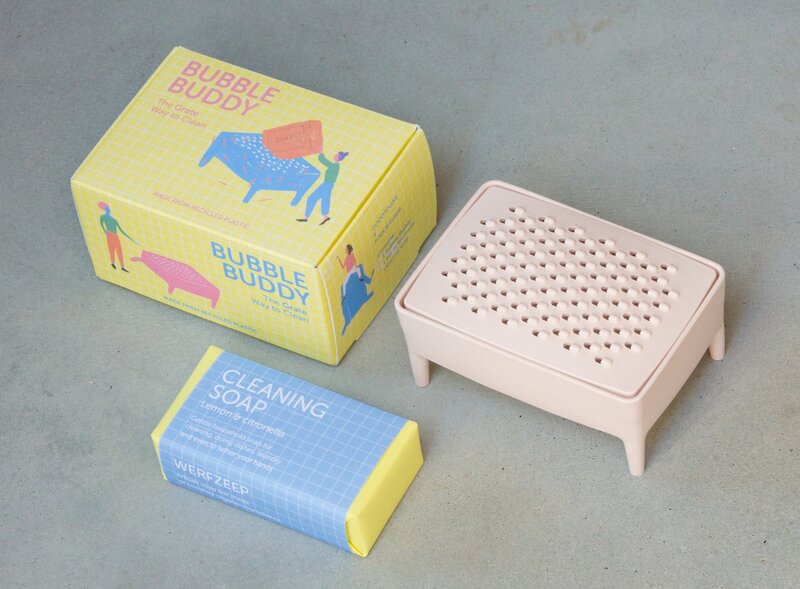 Her latest product, Bubble Buddy, aims to eliminate waste from plastic bottles by providing a fun way to make your own liquid soap. She recommends using a hand-crafted organic bar soap: it’s good for you and your environment, highly concentrated, economical in use, plastic packaging free, and hasn’t been tested on animals. What we love: One of the bright spots in the seemingly endless gloomy saga of current events is seeing people band together and try to fight for a better future. The Dear Lois Mag is one such project. 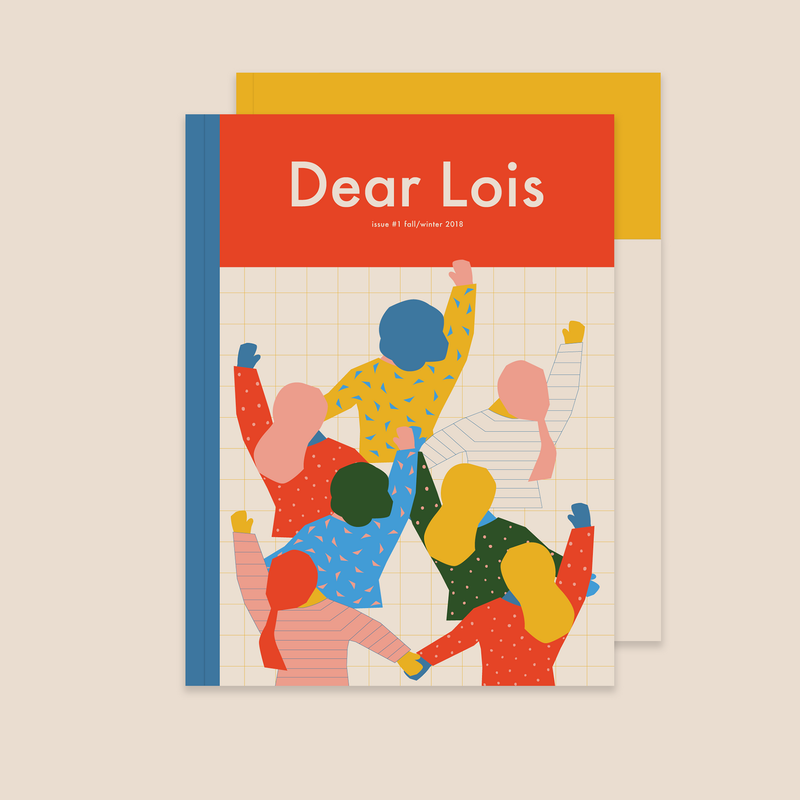 Aimed at young women, Dear Lois collects art and articles from a variety of contributors who share wisdom and perspectives formed by their own experiences of womanhood. What we love: One seismic shift in the past 10 or so years has been the decline of physical media. Previously ubiquitious items such as CDs, DVDs, and books, have been “disrupted” by digital alternatives. But physical media can still survive and possibly thrive with the right set of characteristics. 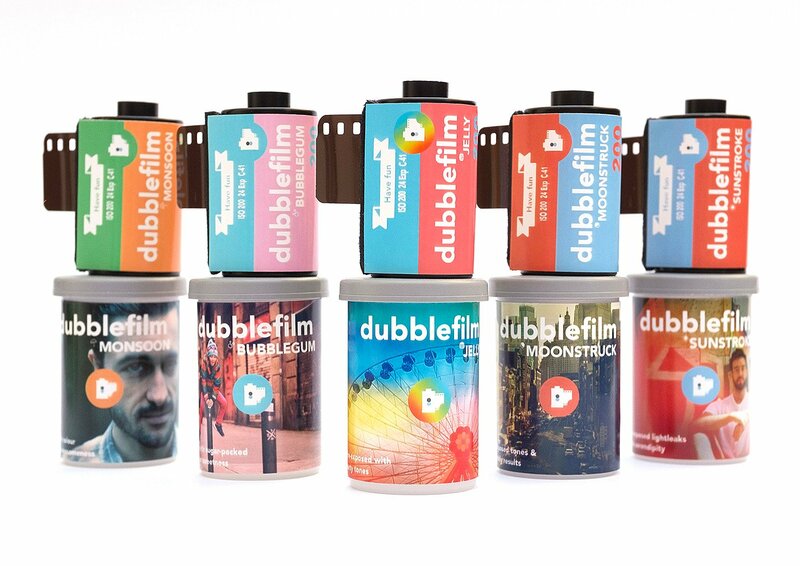 Created as a spin off from the Dubble app, they have created a completely unique collection of 35mm film. Results depend on shooting conditions but photographers can expect unique results each time.